Felicia M. Nurmsen serves as Managing Director of Employer Services, where she oversees NOD’s suite of Professional Services, which brings disability employment initiatives to leading companies, and our innovative program, Campus to Careers, which brings professional-level talent with disabilities to hiring businesses. Felicia brings over 20 years of experience making the connection for business to the untapped talent pool of people with disabilities. 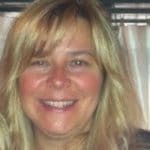 Most importantly, she has experienced the value of disability inclusion in her own business and through her work in the staffing industry, has created talent acquisition programs dedicated to mitigating talent gaps while increasing integrated, competitive employment opportunities for people with disabilities. Previously, Felicia founded her own consulting practice focused on the design and delivery of corporate disability training and education programs, business engagement for the public sector and various topics to support corporate disability inclusion as a pillar of diversity. Prior to founding Inclusive Workforce Strategies, LLC, Felicia was Government Solutions Executive & National Access2Ability Leader for ManpowerGroup where she developed and directed their national disability employment program, leading to ManpowerGroup being named a Disability Equality Index “Best Places to Work in the U.S”. Felicia served on the U.S. Department of Labor Office of Disability Employment Policy Circle of Champions, U.S. Business Leadership Network Corporate Advisory Board and created national strategic partnerships with leading government agencies, community-based organizations and employer networks to support internal & external talent sourcing objectives. Throughout her career, Felicia has served on various boards and been recognized by numerous organizations for her work. She is a seasoned presenter, adapting to her audience to drive her message while making the connection relevant and compelling and has presented at local, state and national conferences on disability and workforce development topics.